The main thrust of the piece is that Draghi dismisses the option of a United States of Europe as well as the prospect of returning to the previous setup. Instead, Draghi focuses on a 'third way', a slightly vague proposition built upon combined economic and fiscal policies and greater financial oversight – again a picture which is likely to appeal to the traditional (ordo-liberal) German economic approach. Draghi sees the political and economic developments moving in tandem over time rather than through giant leaps and grand agreements. There is no real explanation of how his proposed 'third way' would address the internal eurozone imbalances he correctly identifies as a cause of the crisis, other than some loose talk of competitiveness, (i.e. there is no mention of fully-fledged fiscal union that goes down so badly in Germany). How will the eurozone find the time to make the piecemeal changes he suggests? Greater fiscal and financial oversight takes time to set up and organise. He also fails to mention the political/democratic implications of pooling greater economic powers at the eurozone level. Again no mention of potential ECB spending or bailouts to buy time for these changes. Ignoring these issues makes the prospect of a eurozone solution without a political union sound easy, but in reality ensuring that conditions are enforced and that money is well spent may well require such a set up. This also avoids the thorny questions of democratic accountability which follow on from political union. Ultimately, Draghi's unwillingness to put a price tag on any of his suggestions or explain how they can be delivered in a democratic manner makes them hard to believe. The German public deserve better 'solutions' than this. A new EU treaty, a December summit… Déjà vu anyone? A key question for the future institutional arrangement of the Eurozone is whether further integration will happen at the level of all 27 member states, within the framework of the EU treaties, or whether the Eurozone will simply press ahead with an ‘inter-governmental’ deal, circumventing the acquis communautaire and non-eurozone members. This is critical for the UK as under the latter option, Britain will have little to no leverage over future Eurozone integration, whereas under the former it’ll have a solid veto, which it can use to extract all kinds of concessions in pursuit of its national interest. Following Cameron’s veto to an EU-27 treaty change last December – which resulted in the intergovernmental fiscal treaty - a host of eurosceptics and status-quo defenders alike now tend to argue that the precedence has been set; Eurozone members can do whatever they want inter-governmentally, they say, and use the EU institutions at that. Britain has been reduced to the role of a spectator. The plot has been lost and the goose has been cooked. From there, some eurosceptics reach the conclusion that Britain should withdraw altogether, whereas the status quo defenders say Britain should hop on the train towards more integration (at which point they cease to be status quo defenders and turn into brave souls advocating that Britain signs up to a euro superstate). So has the goose been cooked? Well, this week’s Spiegel magazine splashed with the news that the German governmet is pushing for a new EU treaty that will consolidate and expand Eurozone budget oversight powers – referred to in Germany under the euphemism of ‘political union’ - under a firm legal framework. Chancellor Angela Merkel is reportedly pushing for a convention – comprising representatives from national governments and parliaments, the European Parliament and the European Commission – to be formed by the end of the year, with a first meeting to be agreed at an EU summit in December. If the article is accurate, a ‘convention’ would be about a ‘full’ Treaty change, not the limited one agreed in December 2010. One of the main changes sought is the provision for the ECJ to rule if national budgets comply with the EU's fiscal rules, with the option of credible sanctions for non-compliance, something Merkel failed to secure in the inter-governmental fiscal treaty last year – courtesy of French nervousness over loss of souveraineté. It’s difficult to gauge how credible the story is – speaking on ARD Merkel said that “I am not calling for a convention… that’s not the point”. Though politicians’ denials count for zero these days, it’s probably right that December is not realistic as a start date for a new EU treaty. Apart from everything else that needs to be sorted first, EU leaders still remember how long it took to push through the European constitution/Lisbon treaty – which Europe’s citizens didn’t like that much (as for being a ‘crisis’ this was of course a mere prelude to what has come to pass since). And unlike the Lisbon treaty, codified central fiscal controls would be about decisions over taxation and spending – the bread and butter of national politics. Also, non-euro member states – such as Poland - oppose a new treaty at this time on the basis that it would widen the euro/non-euro divide with a negative impact on the single market. This is key. For a range of reasons (see here, here and here), the Germans don’t have that much confidence in Eurozone inter-governmental arrangements, as it leaves them more at the mercy of the ‘Club Med’ and creates a grey zone between EU law and the German ‘basic law’ which is just too awkward to bear for many Germans. Sooner or later, there will be an attempt at EU treaty changes. Does the UK know what it wants? It may sound incredibly obvious, but the eurozone crisis is not only about Greece. Yes, Athens may be facing its "last chance" (Juncker dixit) to save its euro membership. 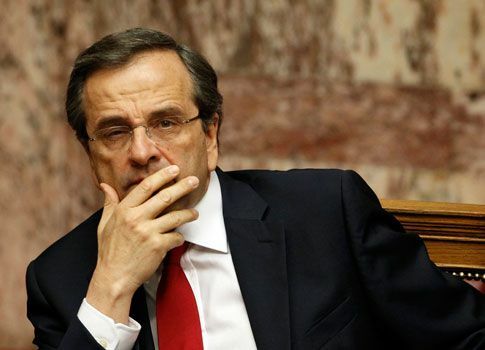 And yes, the diplomatic offensive launched by Greek Prime Minister Antonis Samaras (see picture) to obtain a two-year extension to the EU-IMF adjustment programme clearly deserves attention. 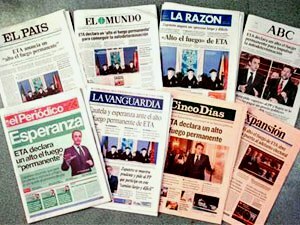 However, while everyone is talking about Greece, quite important (and not necessarily good) news is coming out of other eurozone countries - of which, as usual, we also offer a comprehensive overview in our daily press summary. A Cypriot government spokesman told reporters yesterday that the island's public deficit at the end of the year will be around 4.5% of GDP – significantly higher than the 3.5% of GDP initially forecast. Clearly not good news, as this will almost certainly increase the EU-IMF bailout Cyprus is currently negotiating. Another headache for the Troika, which is due to visit the island again shortly (although no clear date has been specified yet). Add the German Constitutional Court ruling on the ESM treaty along with the Dutch general elections (with the EU-critic Socialist Party led by Emile Roemer ahead in the polls) into the mix and it really looks like there will be little room for boredom in September. 'Communication problems' between Angela and François? A bit of mystery ahead of this evening's meeting between German Chancellor Angela Merkel and French President François Hollande. A French diplomatic source told AFP yesterday that, before their working dinner, the two leaders will make a short statement to the press, but will take no questions from journalists. However, the source went on to suggest that Hollande was quite keen to hold a proper press conference, since he "has not talked about Greece for a long time and wants to communicate." 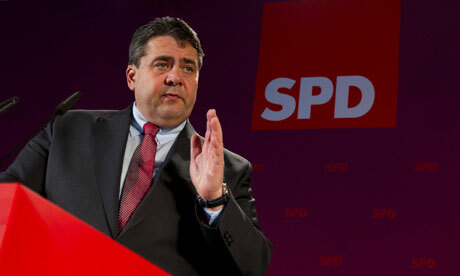 But apparently his request fell on (Merkel's) deaf ears. Needless to say, the diligent Steffen Seibert - the German Chancellor's spokesman - moved swiftly to clarify that the decision not to open the floor for questions had been made "by mutual agreement". Hollande's office also stressed that the chosen format mirrors the one used during Merkel's previous visit to Paris at the end of June. Mystery solved? 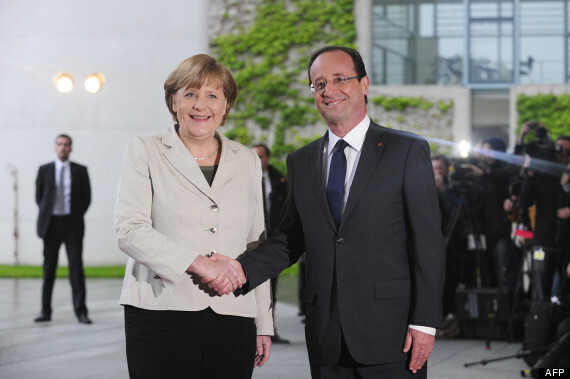 Maybe, but the fact remains that Hollande has reportedly planned a separate press conference at the French Embassy in Berlin after his dinner with Merkel. Will a common position on Greece be easier to agree on than the format of a press conference? On 12 September, elections will take place in the Netherlands. Due to the country's traditional role as an ally to Germany in monetary affairs, they will be watched with close attention (and by coincidence the German Constitutional Court is due to rule on the ESM Treaty the same day). The latest opinion poll shows that caretaker Prime Minister Mark Rutte’s right-of-centre-liberal VVD party and the EU-critical left-wing Socialist Party would get the most votes, with each obtaining 34 seats in Parliament. Sniffing around third place are four parties: the social democratic PvdA (21), the Christian democratic CDA (16), Geert Wilders' PVV (14) and the left-liberal D66 (13). The Christian Union, which sits with the Tories in the ECR-group in the European Parliament, would get around 7 seats, and GreenLeft 4. - Firstly, a centrist coalition might emerge from the VVD, PvdA and CDA. However, the polls suggest this currently falls a few seats short of the necessary majority. This coalition could be expanded to include D66, which would make for a eurofederalist formation, but this might not be convenient in the face of an EU-critical, although disparate, opposition composed of the Socialist Party and Wilders' PVV. Alternatively, the seats of the moderately EU-critical Christian Union might be sufficient but then the government would only have a narrow majority, if the current poll results materialise. - A second option, the preferred solution of the Dutch social democrats (PvdA), would be a government with the Socialist Party, CDA, and GreenLeft. This would only narrowly obtain a majority and probably also need the support of D66. While the CDA would need to be convinced, it is questionable whether a government led by what many consider a far-left party is a viable political option in the Netherlands. The Socialist Party started off as a Maoist formation (a bit like the current European Commission President) but has moderated its tone and could now be described as left wing populist. Its current leader, Emile Roemer, who vehemently opposes the fiscal pact, has repeatedly warned that he won't pay any EU fines for breaching budget deficit limits, saying he would "put his body on the line". Other options are theoretically possible, but unlikely: the divisions between the VVD and Socialists look too deep, while it's unlikely that the VVD would choose a new deal with Geert Wilders, after the previous Dutch government fell due to Wilders' opposition to austerity. The most likely outcome remains some kind of centrist government, possibly after several months of negotiation (last time around, it took four months to form a government). What are the campaign themes? 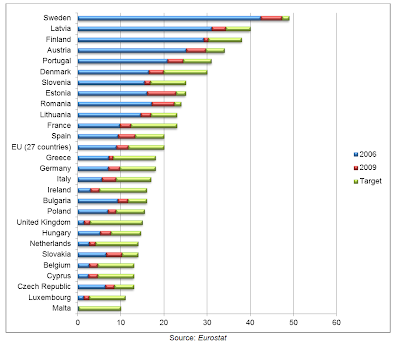 Unavoidably, Europe is high on the list. 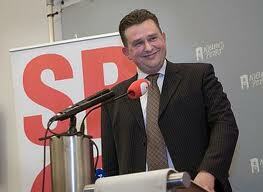 The last government fell over EU-imposed austerity and it is no surprise that Socialist leader Roemer has raised it as an issue. Roemer has also warned that any transfers of power to the EU would need to be agreed by referendum (in a similar vein the UK's 'referendum lock'). Things have been moving in a more EU-critical direction for a few years now. 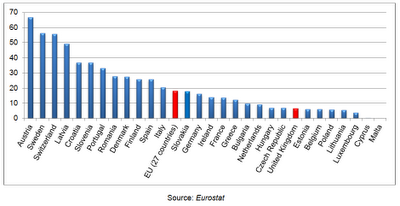 Only 58% of Dutch voters are currently in favour of EU membership, a stunning drop from 76% in May 2010. 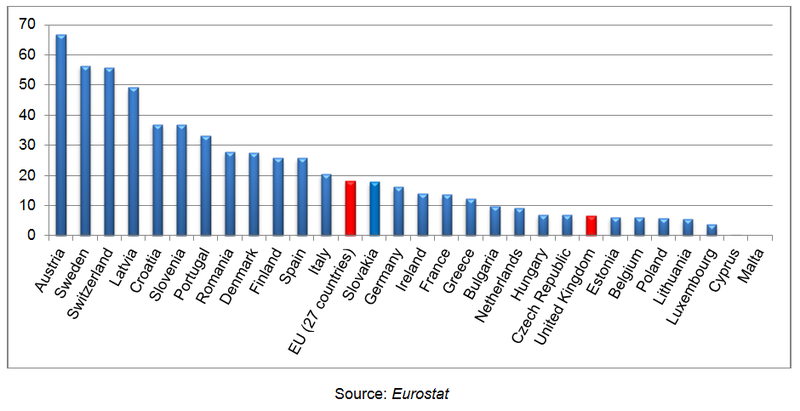 Two thirds of Dutch voters want to see less of their cash going to the EU budget. Last, but certainly not least, there is general discontent about the eurozone bailouts, with at least half of Dutch citizens saying in May that they wanted to see a stop on money being sent to Greece and a majority opposing the eurozone's permanent bailout fund, the ESM. Another important issue is pensions, following reports that cuts very likely will need to be made. Dutch pension rules are also under threat from upcoming EU initiatives such as Solvency II, which are being fiercely opposed by the Dutch government. Economic policy is, as always, high on the agenda. Dutch PM Mark Rutte entered the campaign this week, promising tax cuts in order to reward those who work, in a bid to present his party as the alternative to voters who are scared of the SP and draw left vs. right battle lines. Much of what's happening in the Netherlands today is still seen in the light of the murder of Pim Fortuyn in 2002. The Pim Fortuyn List, certainly started to break down the consensus in Dutch politics on issues such as immigration and the EU. Of course, a lot of has happened since: a range of unstable coalition governments, the no-vote in the referendum on the European Constitution in 2005, the rise and influence of Geert Wilders. The sluggish Dutch economy also appears to have become somewhat decoupled from the German economy. There is particular concern about the housing market. What will be the consequences for the EU and the euro? Dutch daily De Volkskrant ran an article earlier this month noting that the current Dutch government has increasingly been playing EU hard-ball behind the scenes, under the headline "European patience with the annoying Dutch is almost up". An EU diplomat was quoted as saying, "the problem is not that the Netherlands is obstructing, the problem is that the Netherlands is almost always obstructing". Given that around a third or more of the Dutch electorate now seem prepared to vote for more or less EU-critical parties, that isn't going to change anytime soon. Still, it will make a big difference whether the Socialist Party will make it into government or not, and perhaps more symbolically, whether it will become the biggest party in the country. Both remain uncertain. However, it is clear that the consequences could be far reaching, especially for Chancellor Merkel if one of her most loyal allies starts to make things even more politically fraught at the level of the eurozone. 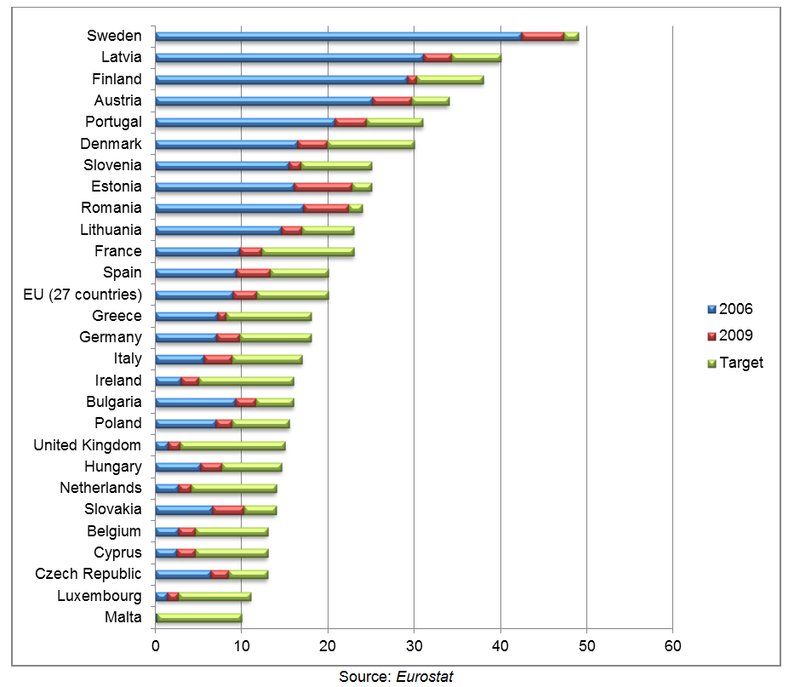 The EU’s renewable target, (agreed by Tony Blair in 2007) requires the UK to shift from just 1.3% of total energy from renewables in 2005, the baseline year under the EU Directive, to 15% by 2020 – the largest proposed increase of any member state (see graph below). The Government predicts that this will come at a net cost of £66bn to the UK over 20 years. This is a huge cost given that the UK already faces a major energy generation challenge – a quarter of existing power plants in the UK are due to close by 2020 – and that Britain should be in the enviable position of being one of the EU’s top energy producers, largely due to North Sea oil and gas, which makes it far less reliant on traditional energy imports than other member states. The consensus is that the 15% target is likely to require the UK to produce 30-35% of its electricity from renewables by 2020, because it is far harder to source energy for transport or heating from renewables. The UK currently has one of the lowest proportions of electricity generated by renewables in the EU, illustrating the scale of the challenge. 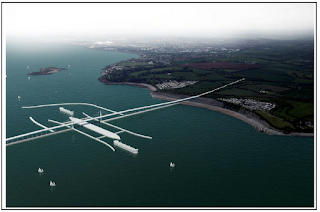 So why do EU rules make the barrage almost a certainty?Article 5(2) of the original proposed renewables directive (requested by Britain) made it clear that the UK would have to build the controversial Severn Barrage in order to meet its EU renewables target. (d) it must be possible for the plant to become operational by 2022." Given the extremely specific description (something five times more powerful than a large nuclear power plant which will be built between 2020 and 2022), this can only realistically have refered to the barrage. Expensive stuff given this was possibly all based on a "mistake"
"I think there was some degree of confusion at the heads of states meeting dealing with this. If they had said 20% renewables on the electricity grids across the European Union by 2020, we would have had a realistic target but by saying 20% of all energy, I actually wonder whether that wasn't a mistake." Focusing on renewable energy from a climate change point of view sounds good but the 2020 rush to renewables is illogical as it ignores and actually diverts resources away from the easier and cheaper CO2 reduction wins to be gained from all other technologies (clean gas, clean coal, CCS, reducing consumption or even renewables that are at an earlier stage of technological development). Several aspects of the EU’s climate change policy (forgetting the UK’s own self-imposed targets) are also self-defeating, including the competing and complex nature of the individual policies: the Emissions Trading System (ETS), which is essentially meant to be a market-based carbon pricing framework, and the aforementioned renewables target, which is essentially designed to change the energy mix of member states, often through subsidy. In practice, forcing electricity generators towards prescribed renewable technologies, such as wind, through the 2020 target and government subsidy lowers the carbon price under the ETS because firms are being subsidised to meet the cap. This undermines the ETS’ carbon pricing function, which is meant to be the driver of investment in the cheapest low carbon alternatives. A similar conflict can be seen between the EU’s initial push for a biofuels target, and the subsequent move to sustainability criteria, and additional production costs, due to the previously unforeseen impact certain biofuel production had on food prices and land use. All told, this policy mix is unlikely to be the best value for money option in reducing CO2 emissions. With European politicians still nursing their holiday sunburns, speculation has already returned to the Eurozone crisis. Unsurprisingly, the focus is again on European Central Bank (ECB) intervention, not least because its president Mario Draghi’s commitment to “do whatever it takes” to save the euro may now require him to follow through. The main plan being mooted is for the ECB to cap the difference in borrowing costs between stronger and weaker Eurozone nations. The logic is that growing yield spreads drive investor fear, do not represent the true strength of these economies, and threaten a self-fulfilling bond run. Germany is naturally wary. 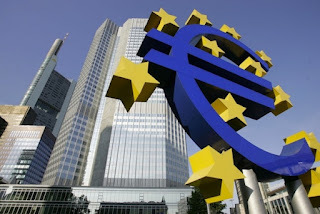 The plan would place the ECB directly in the realm of fiscal policy and political decision-making – a dangerous and almost untenable position for an unelected, independent central bank. Bond spreads are ultimately the market’s judgement of the fiscal policy and domestic politics of each Eurozone country. Any failure or uncertainty in either area would see the level of ECB bond-buying directly influenced by national governments’ decisions. This is even more concerning given that, if borrowing costs have an effective cap, the incentive for governments to reform quickly and effectively would be severely reduced. The oft-cited upside is that the ECB’s unlimited commitment would be enough to deter investors from challenging the ceiling on borrowing costs, meaning that the ECB may not be required to intervene much at all. But this impact may be overstated. Take the peg between the Swiss franc and the euro, equipped with its own “unlimited” backstop from the Swiss National Bank (SNB). The SNB has had to defend the peg, causing it to accumulate reserves equal to 65 per cent of Swiss GDP. Clearly markets didn’t take the bank at its word. It’s not clear that the ECB would be any more successful, especially in the face of similar safe haven flows into northern Eurozone countries, and investors’ desire to offload risky assets at a decent price. Don’t forget that the ECB has also seen its own credibility dented over the past two years. It’s been contended that current borrowing costs are irrational and therefore warrant ECB intervention. While yields may not accurately represent the economic fundamentals of each nation, they are a result of markets trying to price in the domestic and European political risk, as well as the structural flaws in the Eurozone. Using the ECB to try to “correct” these issues would damage the price determination mechanism in markets. This leads us to another area of potential political controversy. The ECB would be taking a huge step towards risk and debt pooling by allowing an EU institution to redistribute problems around the Eurozone – since all Eurozone members stand behind the ECB. Such a huge decision, integral to the future of the Eurozone and Europe, should not be taken by an unelected apolitical institution. The fact that such a decision can’t be made at the intergovernmental level is a sign that the Eurozone is not ready for such a move. Using the ECB to force the pace of integration may well backfire. It seems many have forgotten the problems caused by pushing ahead with an unfinished economic and monetary union, lacking clear political will, in the first place. On top of all of this, such a move stands on incredibly shaky legal ground (thanks to its clearly defined statute, which stops it from financing sovereign states). It also fails to offer a solution. This is why intervention has little support in Germany. The spreads in borrowing costs are a symptom of the crisis rather than a cause, although they have admittedly made things more difficult. However, artificially forcing them together will only paper over deeper problems. The best such a move can do is to buy time. With the ECB already having bought Eurozone leaders two years, which were promptly wasted, we must ask whether this latest proposition is worthwhile. There is, as of yet, no definitive answer. But the first move must be at the intergovernmental level. Until progress is made there, any move by the ECB would simply jeopardise its fundamental mandate, putting more money at risk and dragging the crisis on further, all without any clear end in sight. The ball is firmly in Eurozone leaders’ court and should stay there. The UK and banking union: could the Coalition go for a 'single market lock'? In the desperate search for the euro’s saviour, all eyes have turned to the concept of a “banking union”. Regardless of whether it is a good idea or a bad idea, banking union will undoubtedly cut not only to the heart of a key UK industry — financial services — but also the wider issue of Britain’s future in the EU in the face of further eurozone integration. However, the typical response of City people, or those in Whitehall for that matter, is confused. On the one hand they love the idea, seeing it as a backstop for shaky eurozone banks that threaten City firms and the British economy alike. On the other, they fear it on the basis that the UK could be left without “a seat at the table” in Europe, meaning that the City would be forced to accept rules written for and by the eurozone. This hardly makes for consistent policy. A banking union effectively involves three steps: a single rulebook, a single supervisor and a joint backstop (including a deposit guarantee scheme and resolution scheme with a wind-down mechanism). Given the Continent’s vastly differing banking systems and interests, achieving these three steps will be hugely challenging — and probably take years. Still, the European Commission will kick-start the process this autumn by tabling a proposal to make the ECB the single financial supervisor for eurozone banks, for which there is broad support. While David Cameron has ruled out the UK taking part, with zero chance of it being accepted domestically, he has actively encouraged the creation of a banking union on the condition that “British interests are secured and the single market is protected”. The problem for the UK is that a banking union, if developed to its logical end point, will almost certainly cut across the single market in financial services. For Britain and the City there are two main risks, the extent of which are unknown at present. First, companies doing business in the euro area could be required to be supervised by eurozone authorities. The ECB has already demanded that City-based clearing houses establish themselves inside the eurozone to be allowed to clear transactions in euros, something the UK has challenged at the European Court of Justice. If such practices become part of a banking union, the City would face a series of hurdles to doing business in the eurozone. The second risk is that the eurozone 17 start to write banking and financial rules for all 27 EU states, using their in-built majority in the Union’s voting system to implement them via the EU institutions. Here, it is vital to understand the political incentives created by a banking union. To avoid banks free-riding on German taxpayers, Angela Merkel, the Chancellor, is likely to insist on any financial backstop being backed by perfectly harmonised regulations — for example, on capital requirements or bonuses — with little or no national discretion. This could well spill over to Britain, as the eurozone is unlikely to accept an uneven playing field within EU financial services, with the UK having few ways of blocking eurozone-tailored regulation being applied to the single market, even if detrimental or discriminatory. So what should be done? First, Britain needs a consistent diplomatic position: it cannot both actively call for a banking union and implicitly threaten to veto it, as is the case at present. Second, to avoid the new structure — including the ECB — stepping into single-market territory, the UK needs to work with EU allies to make sure that it is fully accountable. The division of labour between the ECB and the London-based European Banking Authority needs to be made perfectly clear, for example. However, given the stakes, Britain also needs to think creatively about new institutional arrangements with Europe, not only to guarantee the City’s position as a global entry point to the single market — offered by continuing EU membership — but also to create a space in Europe for those countries not intent on joining the single currency, and also for those that may choose to leave. There are several potential solutions. For example, non-euro members could be given the right to appeal against any proposal at the European Council, where all countries have a veto, if it is deemed to undercut the single market or be discriminatory — a “single-market lock”, if you will. Such a move may require treaty change, but so will the steps towards banking union beyond the single eurozone regulator. Furthermore, if pitched right, such proposals could draw support from countries on both sides of the eurozone divide, including Sweden, Germany and Poland, given that the motivation would be to protect the single market. A eurozone banking union is still shrouded in unknowns. 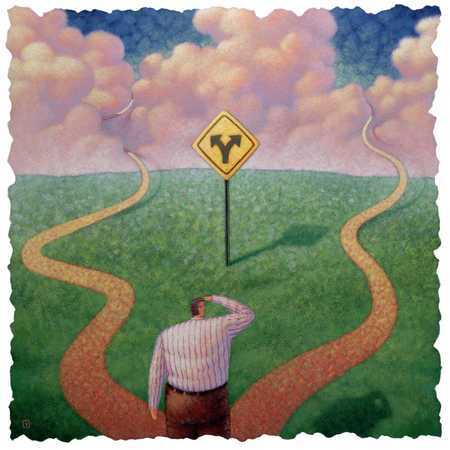 But the City, even if it wants things to stay the same, may have to accept that things will have to change. Italian Lega Nord party's opposition to the euro is clearly not limited to two nostalgic MPs organising a rally where the Italian lira is used as the official currency. Call it political opportunity, but since Lega Nord is no longer in government, it has stepped up its anti-euro rhetoric by several notches. 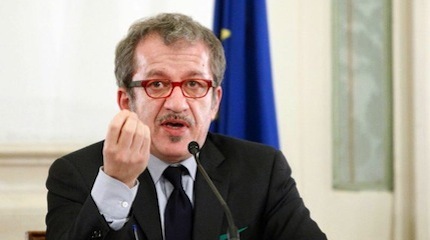 Roberto Maroni (see picture) - the party's recently appointed Secretary General and a former Italian Interior Minister - made some very interesting remarks in an interview with La Repubblica (available here). Pretty strong words to say on the Ferragosto bank holiday, with many Italians (including Mario Monti) enjoying their summer break. It is too early to say how far Lega Nord can get with this initiative. According to the Italian constitution, 50,000 signatures are required to submit a citizens' initiative - a number Lega Nord should be able to collect easily. However, the draft bill then needs to get parliamentary approval to become law - which looks much more difficult to achieve. Nonetheless, the initiative in itself is politically quite significant. Furthermore, it will be very interesting to see how many Italians will sign up to it - we can see the number going well beyond the legally required threshold of 50,000. Lega Nord has decided to treat its supporters to a bit of 'throw back' party, remembering the days when Italy used the lira as its currency. 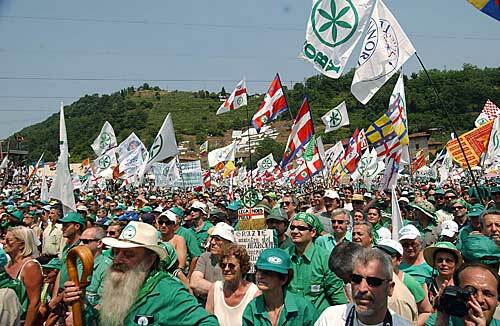 The party has organised a rally in Avio (north-eastern Italy, where else?) for this weekend, at which the lira will be used as the only official currency. 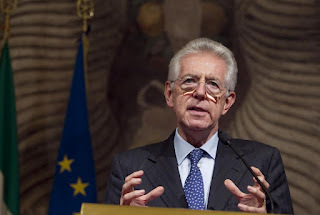 Interestingly, the two Lega Nord MPs who promoted the rally - Maurizio Fugatti and Sergio Divina - have decided to officially invite Italian Prime Minister Mario Monti. Neither of these parties is likely to be in government after next year's elections, and recent opinion polls suggest that a referendum on the euro would see a quite clear victory for the 'stay inside' camp. However, as we noted several times before (see here, here and here), such a change in rhetoric and the fact that cross-party support for the single currency can no longer be taken for granted in Italy is in itself very significant. Following the bad blood within the coalition over the collapse of Lords reform and the constituency boundary review, there has been much speculation that the two parties will enact a policy ‘reset’ after conference season, with Oliver Letwin and Danny Alexander already reportedly working out the details. Most people looking for potential fresh common ground between Tories and Lib Dems would hardly place ‘Europe’ at the top of their list. However, while the parties are unlikely to ever see eye to eye on the EU, given political will, there are a number of areas of potential agreement. For example, both parties already agree on the need to amend the Working Time Directive. However, in terms of immediate action and potential achievability, there is no better target than reforming the EU budget. While the UK and other member states struggle to balance their books, the EU budget has grown year on year despite the vast majority of spending going on policies at best irrelevant, and at worst outright damaging, in the fight to deliver the jobs and growth Europe so desperately needs. Around 40% of the budget still goes on the Common Agricultural Policy; mostly subsidies to farmers and landowners which act as an outright disincentive for modernisation given they are de-linked from any meaningful economic activity. It is difficult to think of a policy more offensive to liberal values than the CAP: market distorting, sustained by effective lobbying from vested interests, staggeringly wasteful and inefficient, and disproportionately harmful to the least well off in society via higher food prices. Moreover, despite the Commission’s rhetoric, the CAP’s ‘green’ credentials are poor. Slimming down and radically refocusing the CAP by explicitly tying it to environmental objectives such as biodiversity would not only be hugely efficient, it would add credibility to the coalition’s claim of being the ‘greenest government ever’. Another area in need of overhaul is EU regional spending; the current structure involving all regions in all member states, irrespective of their relative wealth, is economically irrational. For this reason, spending should be limited to the least wealthy member states where it can have the biggest positive impact, an objective endorsed by Nick Clegg. This would save the UK around £4bn net over seven years which could be ploughed straight back into developing the UK’s least wealthy regions, helping the Lib Dems to achieve their long-standing ambition of ‘rebalancing’ the economy away from its over-reliance on London and the South-East. These measures would require the coalition adopting a much tougher line in the on-going negotiations over the EU’s next long-term budget than it has done, or else risk the existing flawed spending patterns becoming locked in until 2020. While achieving these reforms will not be easy, if pitched correctly, they could command support all across Europe. These measures would deliver a number of wins; saving UK taxpayers’ cash, soothing coalition tensions, and securing electoral popularity – Lib Dem members and voters are in tune with national opinion in wanting more national control over many policy areas currently significantly influenced by Brussels. Having shown that they can be ‘tough’ on the EU, Lib Dems would then have greater credibility when making the positive case for its continued involvement in other areas. Italy's spreads would now be at 1,200 or something. He might be right, but still not smart politics. Remember, although Monti leads a technocrat-only government (and, indeed, is an unelected technocrat himself), he has to rely on parliamentary support to pass the structural reforms Italy needs so badly. Berlusconi's party still holds the highest number of seats in both chambers of the Italian parliament. Therefore, if Berlusconi's MPs and senators were to withdraw their support, Monti and his cabinet would have no alternative but to quit. So Monti should probably choose his words more carefully. Berlusconi's party instantly retaliated, and the result was the government failing to obtain a majority during one of the votes in the lower house yesterday over a new €26bn savings package. It was mainly a symbolic move (the specific vote was on a procedural act) and the package was eventually approved, but it was a reminder of the important role still played by Berlusconi's lot. Monti should display a more balanced and respectful behaviour, as the [Italian] parliament is holding one vote of confidence after the other. Sooner or later, someone may grow tired. So for the second time in less than 24 hours, Monti was forced to apologise (although his office prefers using the word 'clarify'). He called Berlusconi and told him he was "sorry" because that specific sentence had been "extrapolated" from a longer conversation and taken out of context. Apologies accepted, it seems. 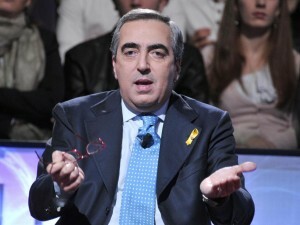 But the episode is another reminder of how for Italy the main risk remains political. The day after the monthly meeting of the ECB's Governing Council and Mario Draghi's subsequent press conference - during which he said that the ECB is willing to intervene on the debt markets again but will hold fire for the moment - we've summed up a few media reactions from Spain and Geremany, opposite sides of the debate on what the ECB's role in the crisis should be. 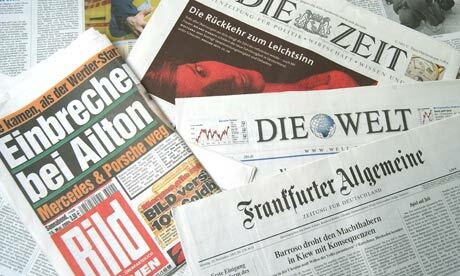 The discrepancy between what the Spanish and German press have made of Draghi's words is fascinating. "With a single shot, Draghi has shifted all the pressure onto [eurozone] countries verging on intervention. That is, onto Spain. 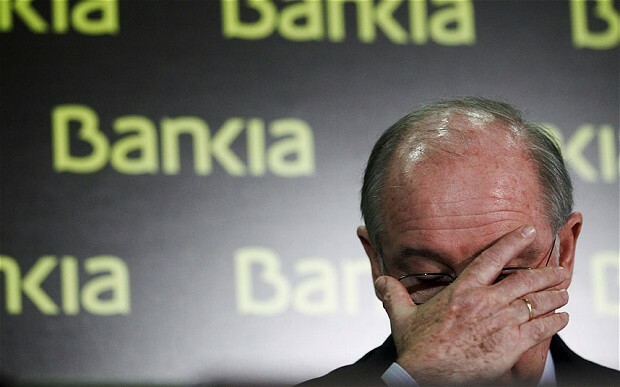 Therefore, Mariano Rajoy’s government finds itself in the thorny condition of someone who has to choose between requesting a bailout – the second, after the one for [Spanish] banks less than two months ago – or burn in the markets." "Make no mistake. Neither is Draghi the first high-ranking European official to show Spain the way to the [eurozone] bailout funds, nor did the [Spanish] government realise yesterday that this is what it is being asked to do." In fact, the article goes on, other top European politicians, from EU Competition Commissioner Joaquín Almunia and Eurogroup Chairman Jean-Claude Juncker, made similar remarks over the past few weeks. "Madrid and Rome have few options at their disposal, apart from Draghi’s offer, if they want to avoid a full bailout." Meanwhile, over in Germany, the media have focused more heavily on the implications for German taxpayers and the fraught relations between Draghi and Bundesbank President Jens Weidmann. Mass circulation Bild, referring to the lack of concrete details announced yesterday, carries the headline, “Could…Would…Should…What does Draghi’s euro wishy-washy mean for our money?” Still, the good news for Draghi is that as long as the ECB’s ‘monetary floodgates’ remain closed, Bild have said he can keep his Pickelhaube. "ECB Chief Mario Draghi obviously feels comfortable in his role of the euro-saviour. However, not yet able to offer money, he had to make do with strong words and hidden side-swipes." "It would have been good not to interfere with the psychological impact of Draghi's announcement. But once again opposition came from Germany, from the head of the Bundesbank, Jens Weidmann, apparently the only one who voted against Draghi's plan in the Governing Council… It is indeed unwise to break the ranks of the Governing Council in this situation. 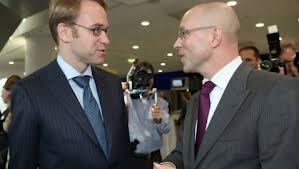 Weidmann is fanning mistrust where he should be fostering confidence." Two countries, two completely different roles in the eurozone crisis, two completely different interpretations of the same words. Meanwhile, European stock markets seem to have recovered from yesterday's losses. The interest rate on Spain's ten-year bonds has also decreased, after peaking at over 7.4% this morning. "I haven't made any decision. I will do what suits the general interest of Spaniards."